Brown and Brown Attorneys at Law, P.A., is a Tallahassee, Florida firm that represents the injured, victims and consumers in Florida and Texas courts and occasionally in Georgia. For nearly two decades, the attorneys in our law firm have been leaders in Florida and the Tallahassee community. We have the legal experience and resources to properly use the justice system to help our clients. 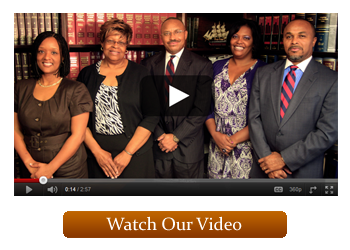 At Brown and Brown Attorneys at Law, P.A., we believe that everyone deserves justice. To obtain justice and safety for our clients, we pursue the goals of equality, fairness, honesty and integrity. We work daily to right the wrongs that occur by protecting our client’s rights in the justice system. It is our responsibility to protect justice and safety in our community and to ensure that every voice is heard. We are committed to helping the injured. Our firm practice areas are: 1.) Personal Injury and Wrongful Death, 2.) Injuries from Auto & Truck Accidents, 3.) Nursing Home Neglect and Abuse, 4.) Medical Malpractice, 5. )Abuse of Children in Foster Care, 6.) Serious Injuries from Attacks at Apartment Complexes and 7.) Eminent Domain. Brown and Brown is structured to be selective in the cases that we take. This allows us to thoroughly prepare every case for presentation before a jury. Our free initial case consultations with potential clients show that we believe the legal system should be available to all – not just to the people with the financial means to hire an attorney. You will not have to pay any charges up front and our firm only gets paid if we make a recovery on your behalf. Contact us today for your Free Case Evaluation.